Witness the birth of a new genre - superhero horror! What if a child from another world crash-landed on Earth, but instead of becoming a hero to mankind, he proved to be something far more sinister? 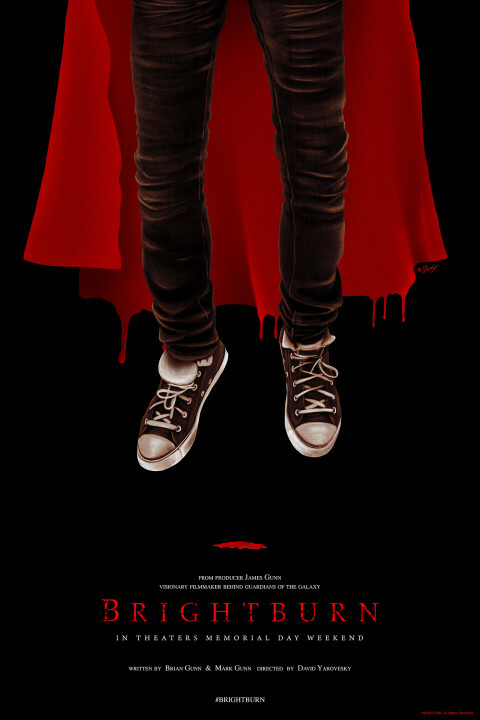 With Brightburn, the visionary filmmaker of Guardians of the Galaxy and Slither presents a startling, subversive take on the superhero genre. To amplify the launch of the film, Screen Gems (a Columbia TriStar Motion Picture Group, or "CTMG" entity) is creating an art activation campaign leading up to this film’s release, and they want to collaborate with you! Whether it's an illustration, a digital painting or an alternative poster design, the judges are looking for captivating and imaginative static artwork to help drive promotion and excitement socially across the film's marketing and digital channels. Artists are encouraged to check out the trailer and Brightburn's social channels. Artwork will potentially be featured across the film's marketing campaign, including social accounts, print materials and merchandise. Five (5) pieces of art will be selected by Screen Gems or individuals that Screen Gems designates. The Selected Artists will receive $2,000 for each piece selected. See Official Rules for more details. *Please note that there is no employment opportunity granted herein. NO PURCHASE NECESSARY TO ENTER OR WIN. AN INTERNET CONNECTION IS REQUIRED. This opportunity is open globally to those who are at least 18 years of age and the age of majority at the time of entry. Void where prohibited by law. Each artist may submit up to 10 submissions. Artists should retain their original artwork files in the highest quality possible but designs must be submitted in JPEG or PNG, max. size 10MB. All submissions must be original artwork which is not inspired by or based on third party artwork (and may not contain third party materials or intellectual property and/or stock materials, and must be free-and-clear of any and all third-party rights). Please no photography or video. Artists may depict the likenesses of the characters in Brightburn, to the extent such depiction does not contain the likeness of the actors, and may include the Brightburn title treatment logo in their artwork. All rights in and to the characters and title treatment logo are reserved by Columbia TriStar Marketing Group, Inc. and its affiliates including Screen Gems (collectively, “CTMG”). Selected Artists (defined in Official Rules) may be asked to modify their work to fit production requirements. Selected Artists shall assign to CTMG and their licensees and assigns, all rights, title and interest in and to the Selected Artists’ submitted artwork. Selected Artists will be required to sign an Assignment and Release Form. The Non-Selected artists retain the copyright as to the original elements only in their work, subject to CTMG’s intellectual property rights to the motion picture elements. 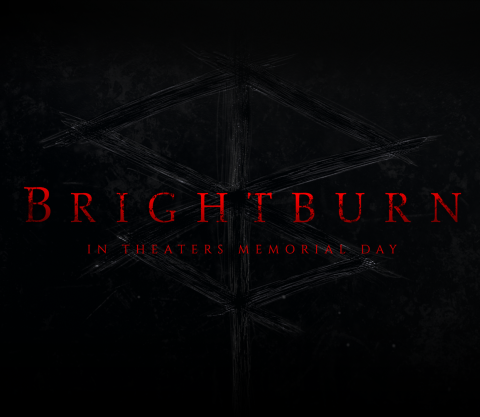 By entering the Creative Invite, each artist grants to CTMG a worldwide, unrestricted, non-exclusive, royalty-free license for one (1) year to use the submitted work across CTMG’s various marketing platforms in association with the movie Brightburn. CTMG will use its good faith efforts to provide all artists with credit for their work. Artist’s copyright in the work is subject to and restricted by CTMG's underlying rights in the Brightburn IP (defined in Official Rules), and entrants may make only personal non-commercial use (e.g. portfolio purposes) of the submissions without express written consent from CTMG. In no event, may an entrant obtain a fee, royalty, advertising revenue, or any other payment for the art created pursuant to this Creative Invite. Selected Artists must respond to Talenthouse within two (2) days of receiving the notification email and must timely complete all requested paperwork or else will forfeit all incentives. Talenthouse reserves the right to remove inappropriate, offensive and harmful submissions as well as submissions that do not fit the Submission Guidelines as specified herein and in the Official Rules. Screen Gems or individuals that Screen Gems designates will select from all qualified submissions. A qualified submission is one which meets all the Terms & Conditions, Guidelines and Official Rules. All eligible submissions received will be judged according to the following equally weighted judging criteria: substance; creativity; originality, and adherence to the Brightburn theme. To participate, review the guidelines and submit your work.